Hearing aids are intended to help compensate for your unique hearing loss condition. 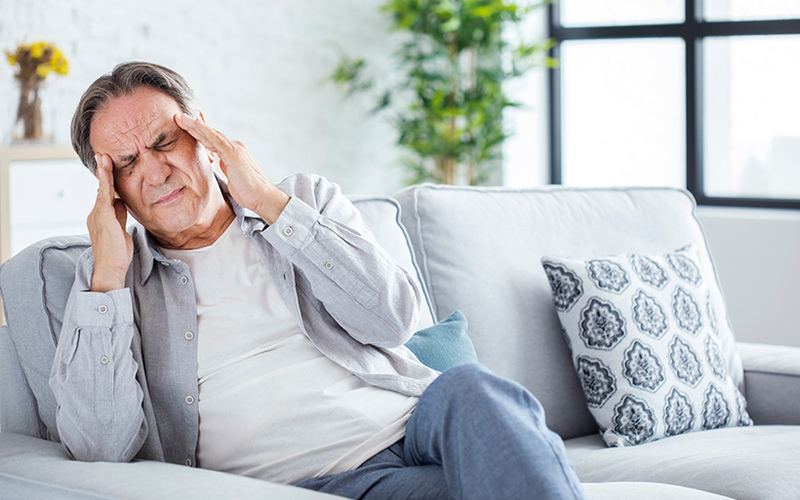 However, whether you are new to wearing hearing aids or have been wearing them for a while, your hearing aid should not cause you headaches or any other type of pain. A properly adjusted hearing aid should provide the quality of amplification that you require comfortably. If this is not the case, it may be time to consider making sure that you have the right kind of hearing aid and that it is adjusted by an audiologist or professional hearing aid specialist. Inadequate Sound Quality. Hearing aids that are not adjusted well can amplify high-intensity sounds, causing a loud screeching sound that is not only bothersome but can further damage your ears. Hearing aids in this condition can also make low intensity sounds inaudible. Feedback Noise. Your hearing aid may pick up and amplify background noise, such as wind, that can result in annoying feedback sounds. Headaches and Tinnitus. Hearing aids that are picking up loud sound levels and are amplifying them further can be painful to your ears, causing headaches as well as tinnitus. This typically occurs in hearing aids with internal control settings that have been set too high. While over-the-counter hearing aids, commonly referred to as personal sound amplification devices, may cost less than prescription hearing aids and are immediately available, they cannot be tailored to meet your specific hearing loss needs. In order to be able to hear better, it requires more than having sounds amplified. There are many cases of hearing loss in which the individuals lose the ability to hear at a certain frequency. Also, the settings for hearing aids may have to be adjusted to accommodate hearing adequately in different environments. One of the best ways of ensuring that your hearing aid is fitted correctly is having a customized hearing aid provided by an audiologist or other hearing care professional. Molds can be taken of your ear and used to fashion a custom-fitted hearing aid device. Once the proper fit is assured, it will be necessary for your audiologist to adjust the settings of the hearing aid so that you are able to distinguish between unwanted noise and the speech you actually want to hear. Your hearing aid should also be able to make the automatic adjustments that will allow you to hear without interference from background noises in different environments. This may require multiple trips to the audiologist as you are taken through the process to ensure that you obtain the exact hearing aid you need and that it’s in tune with your lifestyle. If you have significant hearing loss, the adjusting of the hearing aid to the level you require has to be completed in stages as your brain will need time to adapt to the louder sounds.